Emphysema is a potentially debilitating respiratory disease that can drastically decrease any sufferer’s quality of life. As it turns out, breathing is quite important in our day-to-day life and anytime this is hindered or interrupted our existence can be miserable. Emphysema can be brought on by a number of causes, but the one thing everyone who suffers from it has in common is a diminished ability to breathe easily due to damaged air sacs in the lungs. How do we fight off the debilitating symptoms of emphysema in order to lead as normal a life as possible, not to mention maintain a high quality of life? 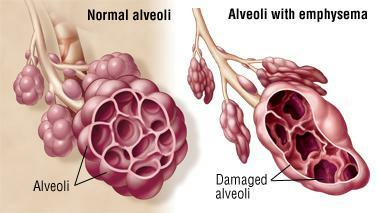 It is very possible to have emphysema for years without noticing possible signs or symptoms. It is usually not until the shortness of breath interferes with simple, common everyday tasks that emphysema becomes noticeable. Many emphysema patients may need emphysema treatment at home and this concentrator makes it very simple. 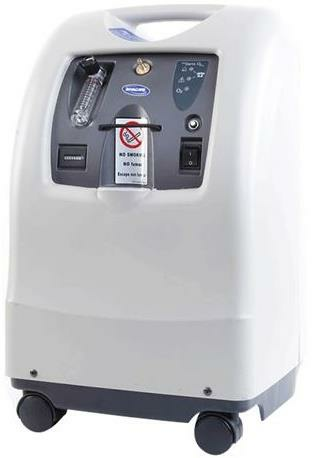 Invacare Perfecto2 Oxygen Concentrator is perfect for patients with respiratory issues such as emphysema. It separates oxygen from the nitrogen in the air to provide an oxygen purity of 87%-95.6% through the nasal cannula. It utilizes a molecular sieve that is small, quiet and lightweight and even has a patient-accessible reset button that can cut down on pricey emergency service calls. Emphysema patients’ lungs have suffered damage and their bodies may need supplemental oxygen. These oxygen cylinders provide emphysema patients with supplemental oxygen since they have a hard time extracting oxygen efficiently from the air around them. These are compatible with the Invacare HomeFill Oxygen System and their oxygen duration can vary depending on the oxygen needs of the users. They are lightweight and can be used with a CGA870 post valve conserver or regulator. Since emphysema symptoms include difficulty getting air into our lungs and bodies, supplemental oxygen treatment requires a delivery method to get supplemental oxygen from sources, such as concentrators or tanks, to our lungs. 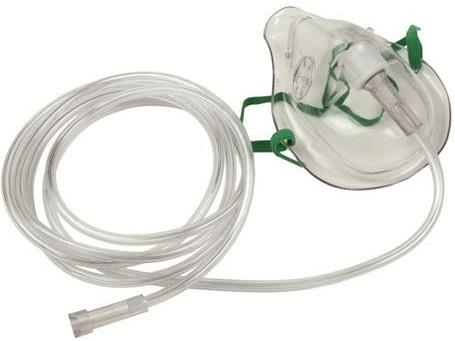 Allied Oxygen Mask provides a simple and easy way to deliver this urgently needed treatment. This oxygen mask is made from clear soft vinyl that provides accurate airway assessment with a cotton coated strap for maximum comfort. The newly designed soft tubing connector provides a simpler fit and comes with 7 feet of tubing. Simply connect to your oxygen source and breathe easily!! Emphysema treatments may include the use of Metered-Dose Inhalers (MDI) canisters and the more efficient the delivery system is the sooner relief can be felt. 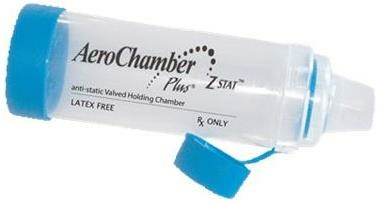 By reducing the coordination between canister activation and patient inhalation, AeroChamber aVHC increases the efficacy of every treatment by limiting medicinal waste. This gets more medicine into your lungs where it can help reduce emphysema symptoms. The Monaghan FlowSignal Whistle alerts the user to excessive flow rates providing a more efficient way to get the aerosol mist into the lungs. This user-friendly system provides users and clinicians alike a drug-free, natural way to clear the airways. 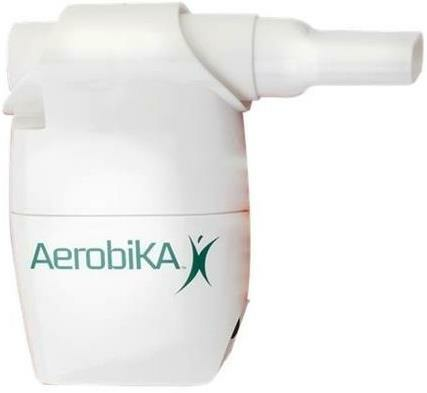 Monaghan Aerobika OPEP system uses positive pressure and oscillations simultaneously to move mucus to the upper airways where it is easier to cough up, decreasing breathlessness and cough frequency. It offers an adjustable resistance so each individual patient can use it for their specific level needed And the resistance is not required to be positioned specifically, so it can be used in any comfortable position, therefore, increasing patient compliance. The clear, antistatic chamber is designed for portability and convenience while using the Hudson RCI Pocket Chamber. The tethered cap protects the mouthpiece and the flow meter features durable, slide zone indicators to increase patient compliance. A piece of equipment is only beneficial if it is used regularly!! The colorful indicator markers allow users to monitor airflow changes and allow your doctor to recommend a treatment plan when the readings fall into the red, yellow, or even green zones. Improving the ability to breathe easily can be tricky, not to mention difficult sometimes. Even though emphysema has no cure, there are ways to improve the quality of life while dealing with this respiratory disease. Finding ways to help your lungs get more oxygen into the bloodstream will not only make breathing easier but improve your quality of life. After all, it’s about living a quality life and enjoying the world around us! !